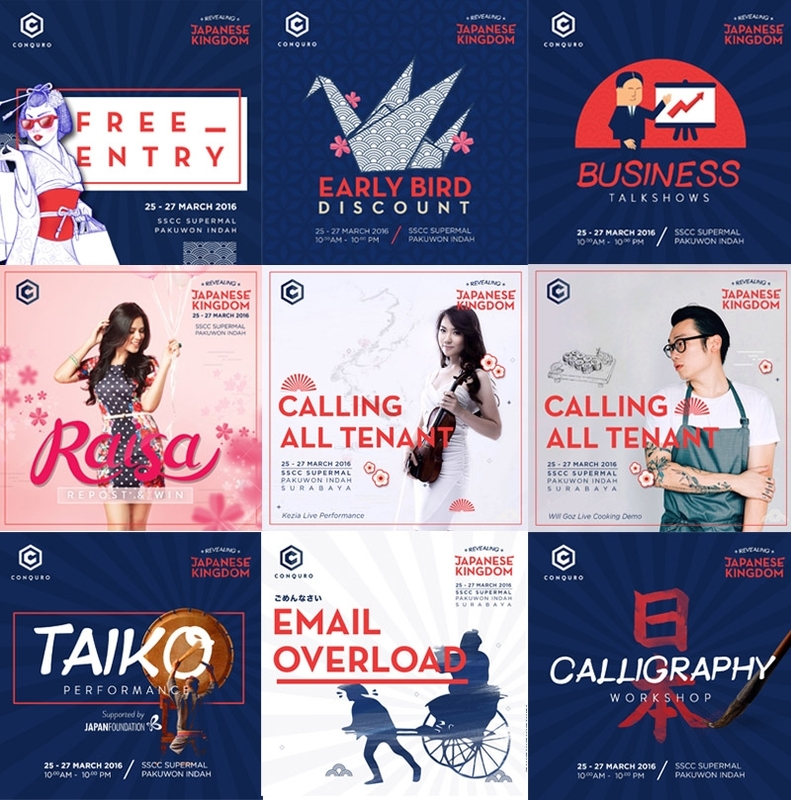 We helps Conquro for their first Thematic Weekend Bazaar that aimed to empower young entrepreneur in Indonesia. 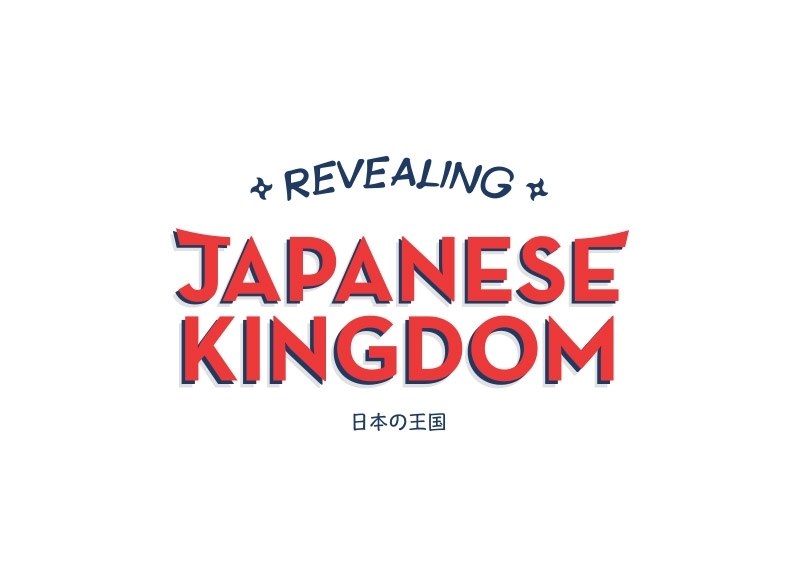 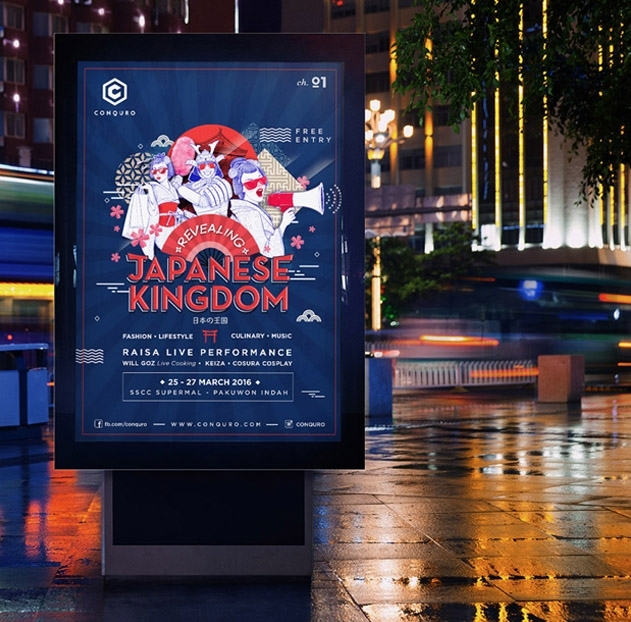 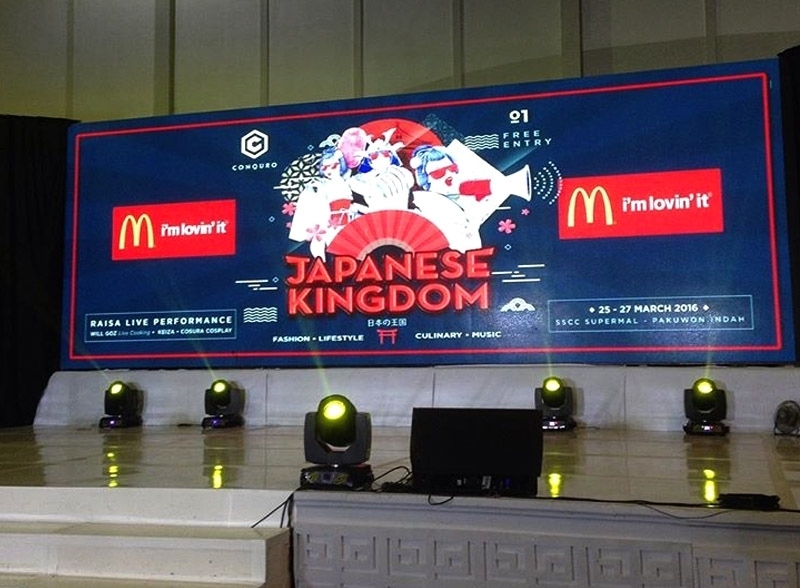 For the first time in Surabaya, they came out with the theme called “Revealing Japanese Kingdom”. 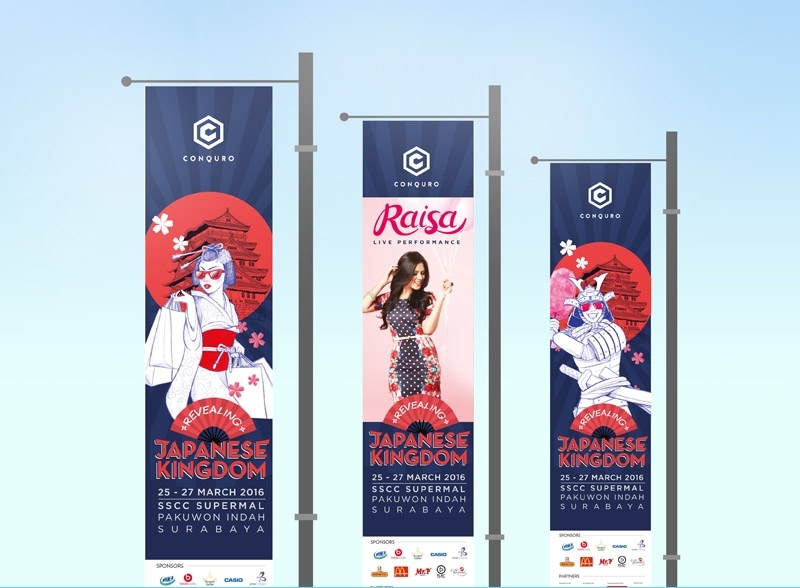 We help them shaping the concept and make it more interesting by combining japanese traditional design with modern feel. 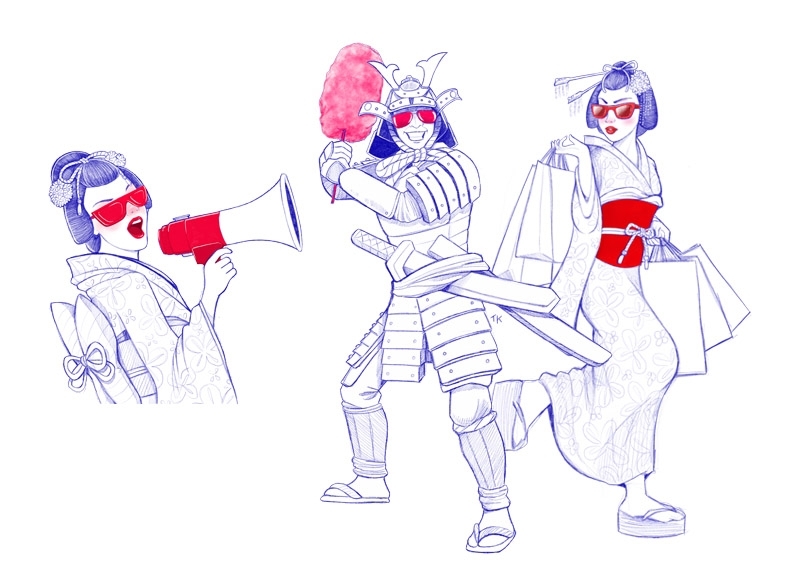 The result is something fun, lively yet not too kawaii/childish. 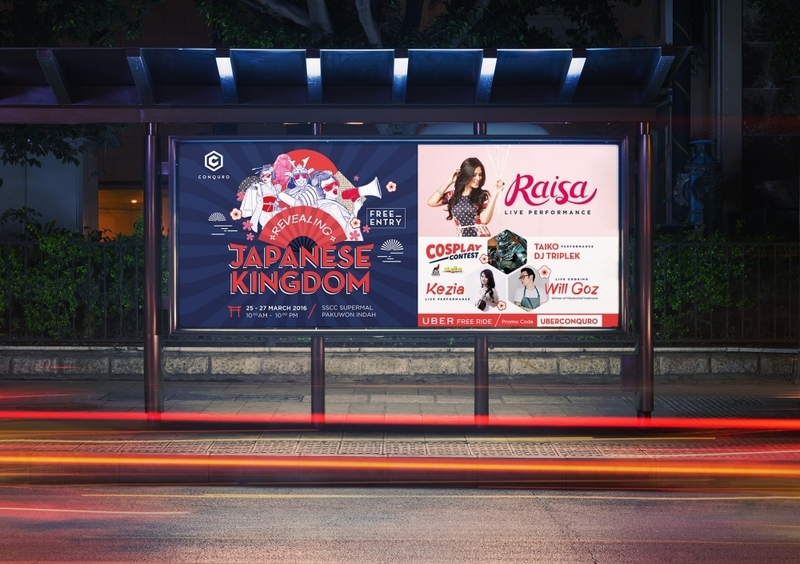 With dark blue and vintage red color as the color scheme, we try to convey Japanese vintage feel.